I made this little duck for a different project, but didn't end up using it. He was just sitting there on my table, so I decided to put him to work. I created this simple birthday card using Create a Critter for the duck and birthday hat and George and Basic Shapes for the balloons. 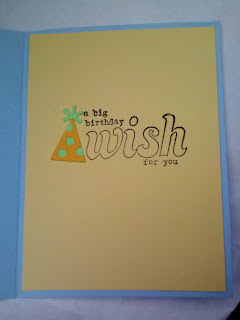 Inside the card I added another birthday hat and stamped a birthday sentiment. Fun card. Love the duck! thank you for joining our color challenge at Docerela Stamps. Awww, such a sweet little duck! Love the cloud paper too! Thanks for joining our challenge over at Docerela Creations! 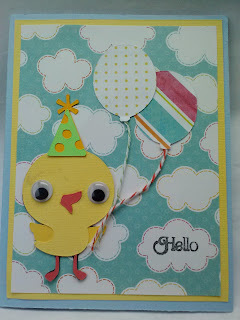 Thanks for playing our Critter challenge at 4 Crafty Chicks! Super cute and love the papers!! 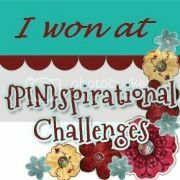 Thank you so much for joining us at Craftin Desert Divas “Ribbon or Twine “ Linky Party. This little lucky duck is extra adorable!! Thanks so much for joining us this week at the Pile it on Challenge. Your card is so sweet!!!! I love it! Awe this is super cute! I love the colors and your chick! Thank you so much for sharing your incredible inspiration with us at 4 Crafty Chicks. Have an amazing week! 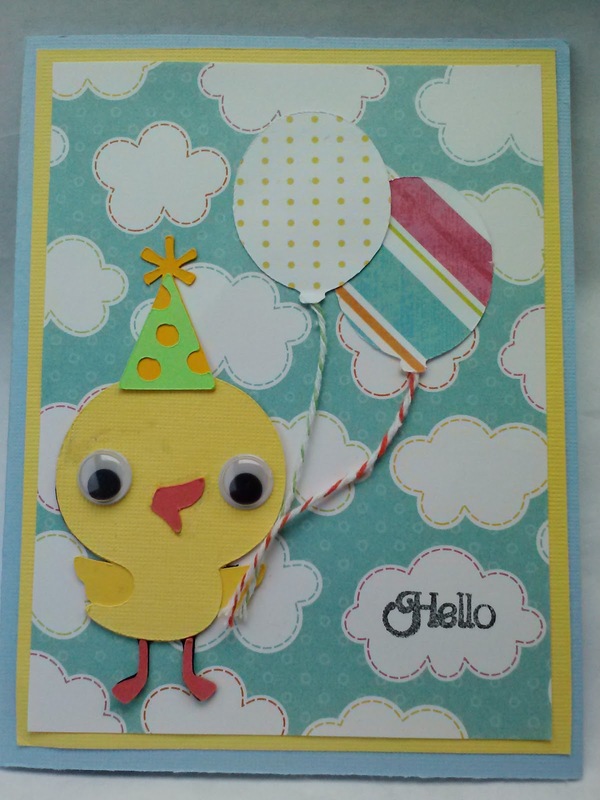 Such a adorable card, love the way you used the googly eyes on your project! TFS!